Our recent newsletter had a terrific introduction to School Council by James Penson and I thought it might be a good time to get some insights into how the Council works. Last year Emma Rush introduced the School Council to us in her blog, A day in the life of a school councillor. I caught up with Nikki Schwarz, 2013 School Council President, and James to find out more. Nikki, can you summarise the roles of the executive and members? As the President, I set the agenda and then run the monthly School Council meetings, following up on any high level issues raised. Over the last two years we’ve been involved in the school’s Self-Evaluation Report, the School Review and the School’s Strategic Plan. I also have input into the various school plans, like the Strategic Plan before they go to School Council. The Vice President supports the President and is a great sounding board for ideas. The Secretary takes and distributes the minutes and the Treasurer provides updates on what has been spent and how we are tracking to our budget. The Treasurer is the convenor of the school’s Finance Committee and has a close working relationship with Faye Pattie, the school’s Business Manager. Can you tell us how much work is involved? And are there any perks? I usually catch up with the Principal weekly and I often meet with parents informally to talk about particular issues they are concerned about. Perks…!? The President gets an Edu mail email account! I’ve got to know many of the teachers and I have met a lot of parents along the way. I enjoy seeing how the school runs and being part of what is going on. It’s satisfying to see things get done that make our school a great place for the kids and the teachers. What are some of the School Council’s key achievements from 2013? We did manage to do a lot last year! We decided that cooling solutions were a priority and we spent a lot of time discussing the options and approved Stage 1 in November. 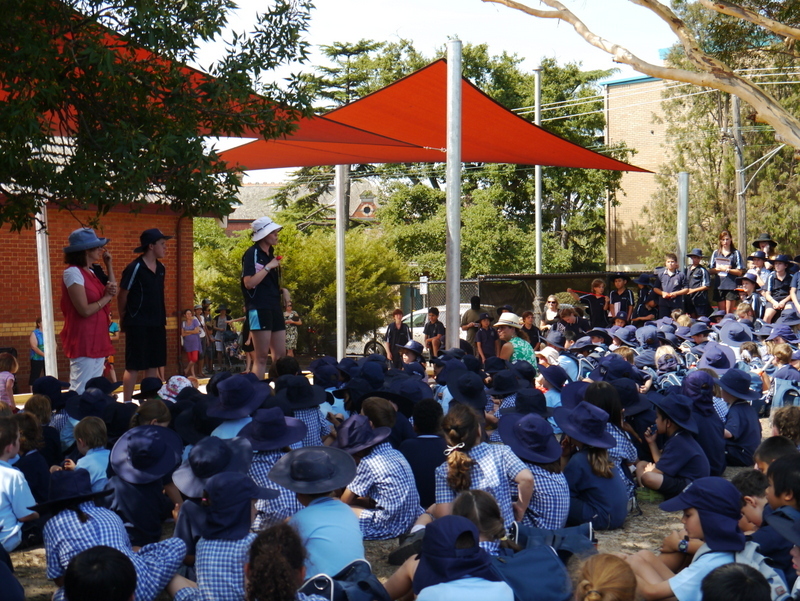 Refrigerated air-conditioning was installed in the six classrooms of the Junior School Building and Performing Arts Room over the January school holidays. • Reviewing school uniform and approving new items – we now have a school rain coat!!! 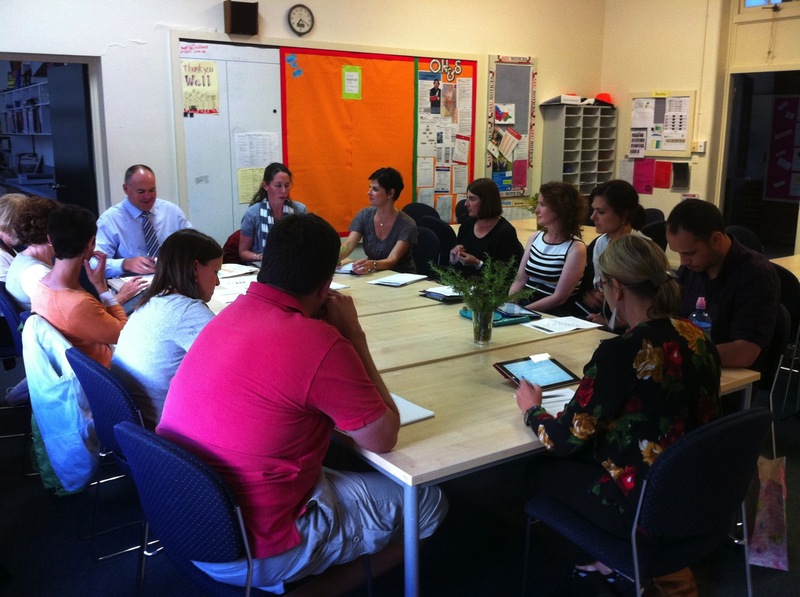 What is the relationship between the School Council and the PTA? Usually we have someone on School Council who is also on the PTA and we work together so we can align goals and objectives. The PTA has primary fundraising responsibility and we all want to make sure that we’re spending that money in the ways the school community wants. How can families stay informed about what School Council does? Updates are included in the Newsletter and minutes can be read in the office. The subcommittees are open to non-school council members and they are always looking for volunteers. Can parents come along to School Council meetings and suggest items for the agenda? Most meetings are open to school community, although sometimes we have closed meetings if we need to talk about confidential issues. Parents are welcome to come along to listen, but you can only participate if you are a member of the School Council. James, can you explain the relationship between School Council and Principal? It’s best described as supportive, open and constructive. The most important part of the relationship is keeping each other informed and taking into account the views of the school community when making decisions regarding the school and the students. School Council participates in developing the broad direction and vision of the school in line with Education Department policies and assists the Principal in delivering this vision. It also assists in the efficient governance of the school, ensures students’ best interests are primary, enhances the educational opportunities for students and ensures compliance with relevant legislation and regulations. 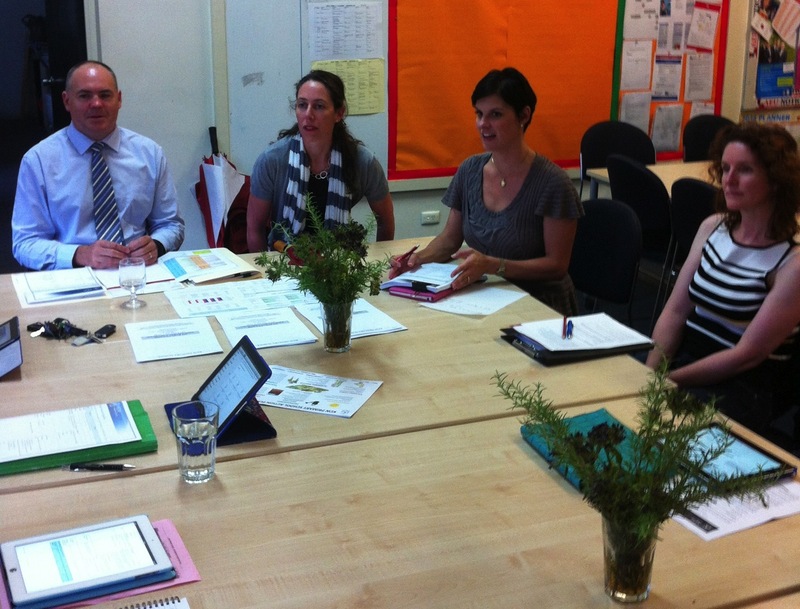 What makes a successful School Council from a Principal’s perspective? An active School Council that acts in the best interests of students and is not representative of a specific interest group. A School Council that uses time effectively and assists the Principal to make appropriate decisions in a timely and responsible way. A successful School Council can be measured by the way it works to promote the school to the wider community and in the way it works with the school community to stimulate interest in the school. Can you highlight where you think our School Council will have opportunities for input to the school over next few years? School Council will have an important role in assisting me to determine the broad strategic goals of the school and to develop and implement a master plan for the school. 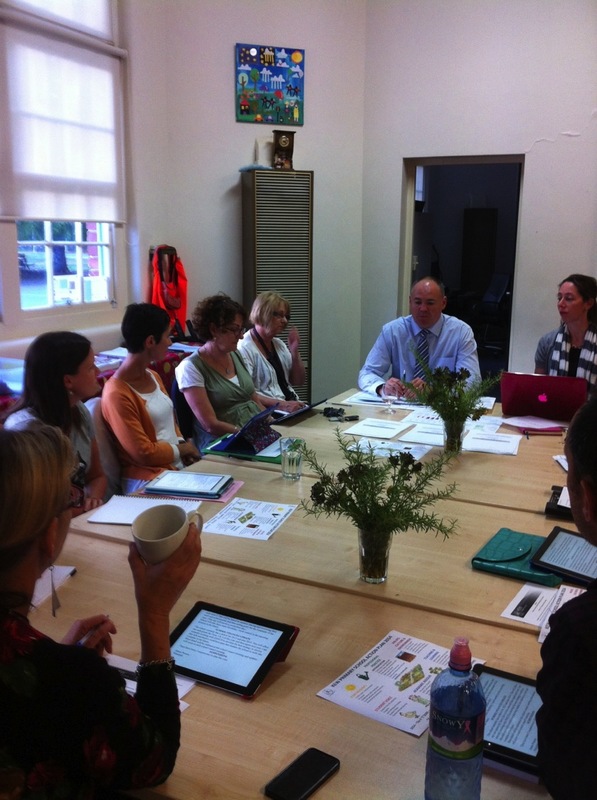 This will include curriculum direction and future building / grounds works such as the oval. School Council will also assist me to evaluate all the extra-curricular programs on offer and shape the future direction and need for these. If you are passionate about sprucing up the school grounds, a policy nut, a fundraiser with a serious track record or a great communicator, please get in touch with James for more details about the subcommittees. Finally – and using James’ three Ps – School Council and its subcommittees are a really Positive way to engage with the school; you are truly being Proactive by getting involved but please do make sure that you are Punctual to those meetings! 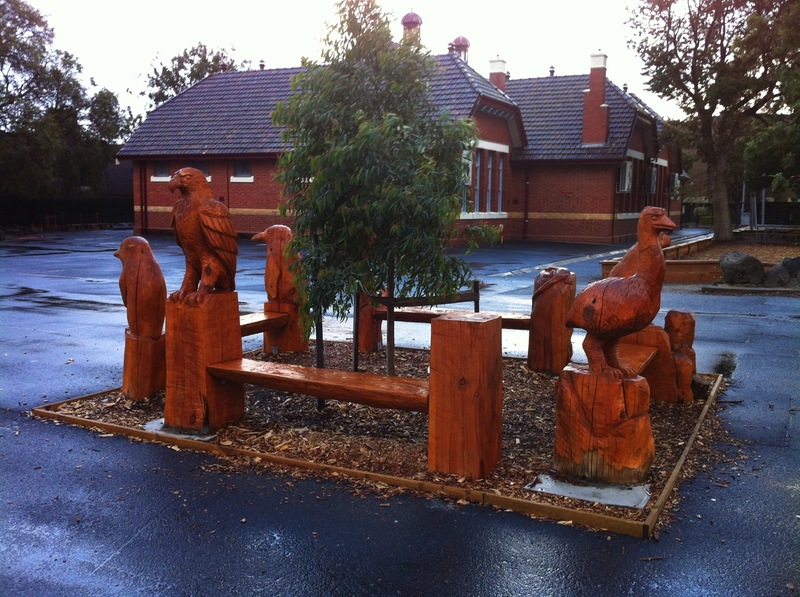 This entry was posted in School management and tagged Kew Primary School Council by jacquitomlins. Bookmark the permalink.